Education and background: Associate’s degree from New York City College of Technology; bachelor’s degree from John Jay College of Criminal Justice; M.P.A. from Marist College. Served for 22 years as an officer with the New York City Police Department (NYPD), where he started as a special assignment officer and climbed through the ranks to become a sergeant, a lieutenant and ultimately retiring as a captain. Was active in building relationships between community members and police officers. Later co-founded 100 Blacks in Law Enforcement Who Care, an initiative that not only improved NYPD/community relations, but also raised funds for worthy causes throughout the city. Served as a member of the New York State Senate from 2007 to 2013. Elected Borough President in 2013 with 90 percent of the vote. 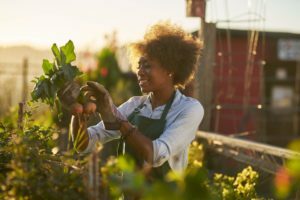 Was diagnosed with type 2 diabetes in 2016, which prompted him to switch to a plant-based, whole food diet and, consequently, lose 30 pounds and reversed his diabetes diagnosis. What he’s doing to advance food policy: Currently working to redirect public health spending to focus more on lifestyle changes and disease reversal than on condition management. Also partnering with State Assembly Member Richard N. Gottfried and State Senator Brad Hoylman on legislation requiring plant-based meal options in hospitals and schools. Recently announced with Mayor Bill de Blasio the expansion of Meatless Mondays to all 1,700 New York City schools following its success as a pilot program in 15 public schools in Brooklyn. Also supported the Coalition for Healthy School Food’s work with the NYC Department of Education to begin offering at least one vegan entree on school lunch menus. Kicked off Meatless Mondays in New York City’s 11 public hospitals and has called on all hospitals in the city to take the Meatless Monday pledge. Introduced a New York City Council resolution with Council Member Fernando Cabrera calling on the New York City Department of Education (DOE) to ban processed meats from being served within the city’s public schools. Campaigned for funding to launch the pilot Plant-Based Lifestyle Medicine program which includes a clinic at Bellevue Hospital to serve as a resource for adult patients with chronic disease who want to reduce their disease risk through healthful lifestyle changes. 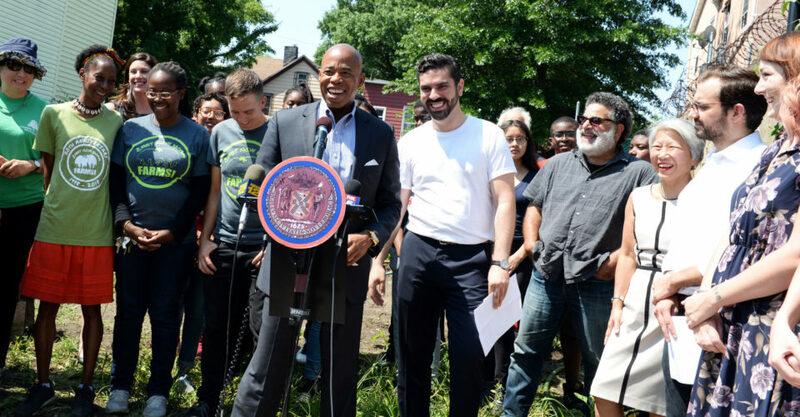 Committed $1 million in capital funding to the creation of an urban agriculture incubator and partnered with City Council Member Rafael L. Espinal, Jr. to introduce recently passed urban agriculture legislation. Converted Brooklyn Borough Hall to a healthy workplace, providing healthier food options for staff and guests. Hosts quarterly plant-based/veg-curious meetups and healthy cooking workshops to share information plant-based nutrition with constituents. Launched the Family Friendly Brooklyn initiative by creating a lactation room in Brooklyn Borough Hall that is open to the public; introduced a New York City Council bill signed into law in 2016 requiring all municipal buildings providing services to the public to have lactation rooms. What he enjoys outside of Borough Hall: Riding the streets of Brooklyn on his bicycle, meditation and exploring new cultures and places.